One week can change a lot in the National Football League. Each round of games this year has greatly changed the perception of each team. With one more week of the season, things can change even more as squads jockey for playoff positioning. For other teams, the final game gives players an opportunity to show their worth to the team. Here is an updated status on each team to go with complete power rankings. After 10-straight wins, the Broncos are finally on top of the power rankings. They will be one of the favorites to win the Super Bowl, but the team struggled early against other top competition. It will be important to focus on the recent success rather than the problems from earlier in the season. The Falcons will have the No. 1 seed in the NFC, but that does not mean much for this team. They must prove they can win in the playoffs. At least they will get to play the rest of their games in a dome. Two years ago, the Packers won the Super Bowl after entering as the final playoff seed. Last season, the same team lost in its first game after a bye. While Green Bay would obviously like to secure the No. 2 seed, the squad will still have confidence to advance without it. The Patriots did not come into the game against the Jaguars prepared, a rarity for a team coached by Bill Belichick. This team better come prepared next week because it is not good enough to do it again. Week 17 will be huge for the team currently projected to be the top seed in the AFC. A win would guarantee home-field advantage throughout the playoffs. However, a loss could see the team fall as far as the three seed. Not only would an extra game and more road contests make the road to the Super Bowl tougher, but this would be devastating to their confidence. Houston lost for the second time in three weeks on Sunday, and the squad does not look good on either side of the football. After an 11-1 start, this team is fading fast. One more loss would not knock them out of the playoffs, but it could take them out of contention. There are no excuses for the loss to the Seahawks. The only takeaway is that it was one game and the 49ers still own the lead in the NFC West. A home win against the Arizona Cardinals will clinch the division and possible earn a first-round bye. Seattle is on almost an unstoppable run over the past month. Unfortunately, things will get tougher in the playoffs if they are forced to play away from home, where they are 7-0 this season. The win over the Giants was huge for the Ravens' confidence heading into the postseason. The fact that they can beat a good team like the Giants easily will help their mindset after losing three in a row. Not many could have predicted that the Redskins would be leading the NFC East with one week to go in the season. This is especially true after the team fell to 3-6 and head coach Mike Shanahan said that he was planning on "evaluating players," according to Mike Wise of the Washington Post. The implication was that this team already gave up on the season, but we now know that is not the case after six wins in a row. Robert Griffin III is playing as well as anyone in the league and has the ability to score on any defense. The key, however, will be the play of the defensive secondary. If they cannot stop the pass, the playoffs will remain just a dream. Simply reaching the postseason is a significant accomplishment for a squad that had the worst record in football last season. Any sort of advancement in the postseason will be bonus. The Bengals are in the playoffs after a big win against the Steelers. All that is left is to rest up and prepare for whichever top team earns the three seed. It is scary how good Adrian Peterson has been this season. If he is able to lead his team to one more win against the Packers and get the Vikings into the playoffs, there is no way he should be denied the MVP award. The formula is simple for the Cowboys. Beat their most hated rival and they reach the playoffs. However, Robert Griffin III will not be easy to stop. Simply defeating the Lions will not be enough anymore. Instead, the Bears will have to do something they never want to do: root for the Packers. Unfortunately, that is what it will take to advance after such a good start to the year. After yet another loss, the likelihood of the Giants reaching the playoffs is not good. However, the team has not been eliminated. If there is one thing football fans should know after the past five years is to never count this team out. Eli Manning is playing some of the worst football of his career. However, there is still enough talent to pull out a win against the Philadelphia Eagles this week. With a little help, New York can be back in the postseason as a Wild Card. At that point, anything will be possible. The Rams have a lot to be proud of this season after surviving a schedule that was much tougher than many could have anticipated. Wins over the 49ers, Seahawks and Redskins are enough to build on for next year. Once New Orleans lost its first four games, its fate was almost sealed. Drew Brees made a great run at the playoffs, but his own poor defense was simply too much to overcome. Rookie quarterback Ryan Tannehill played better than many could have anticipated in his first year. However, he is still very inexperienced and has plenty of room to improve. This is good news for the future of the Dolphins. The Steelers were finally eliminated from the playoffs last week. After this dreadful season full of injuries to almost every key player, perhaps a long offseason is a good thing. If Cam Newton was able to play all year like he has in the past month, the Panthers would be safely in the playoffs. Still, it is a good sign heading into next season that the quarterback's poor play was nothing more than a slump. This is the time of year for teams to evaluate which players will be around next season. Danario Alexander has certainly earned a spot. However, Philip Rivers could be on thin ice for his. When Doug Martin was running all over defenses, this looked like one of the top offenses in the league. After the one-point loss to Atlanta in Week 12, however, the entire team fell apart and Tampa Bay has not won since. There are still plenty of good pieces for the future, but the lack of fight has to be concerning. In other organizations, players and coaches on losing teams use the final few weeks to prove they can remain with the club next year. On the Jets, everyone is trying to show they deserve a spot on some other team. This group is likely to clean house this offseason to clear thoughts of this disgusting season. The jury is still out on whether a 29-year-old rookie quarterback can be successful. Brandon Weeden had some ups and downs this year, which is normal for a first-year player. However, he will not have too much leeway if the Browns value the future of the team. Although Jake Locker will get a little bit more time to show what he can do as a starting quarterback, his clock is ticking. The second-year quarterback had some good moments during his rookie season, but his latest stint has not been pretty. Locker has thrown at least two interceptions in four of the last five games. Not surprisingly, his team lost each of those four. A home matchup against Jacksonville should give the youngster plenty of opportunity to shine. While this one game will not make his career, another poor showing could force the organization to make some difficult decisions. The Vikings proved how much of an impact a great running back can make. C.J. 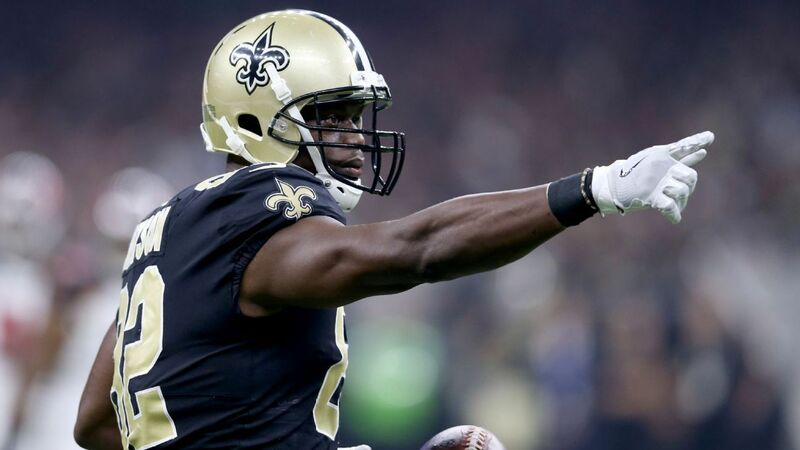 Spiller averaged 6.5 yards per carry this season, which was more than all running backs, including Adrian Peterson. Buffalo needs to make sure the young running back gets more carries next season so he can help this struggling team. While knocking the Giants out of the playoffs would not excuse this disappointing season, it would at least end it on a good note. The important thing to take from this campaign is that talented players cannot win unless there is a coach to bring it all together. One single play defined the Lions' season. On Thanksgiving, coach Jim Schwartz challenged a touchdown against the rules and it ended up costing the team the game. Detroit made too many mental errors all year to have any success. The offseason wish list for the Cardinals is pretty long, but a quarterback and someone to block for him should be at the top. Until these two things are fixed, Arizona will have a tough time winning any game. Although Darren McFadden has tons of talent, he is still yet to play a full season in five years in the NFL. Running back should be one of the many positions the Raiders still need to fill long term. When you are a coach on a bad team, the biggest thing you want to see is improvement. The Chiefs have been able to do that this season with a defense that has gotten better every week. With a quarterback that does not turn the ball over, this could be a good team. The Jaguars showed a lot of fight in the close loss to the Patriots. There is certainly an opportunity to end the year on a win against the Titans, but it might not be worth risking a high draft pick.